When signing on with an outside partner for strategic growth insights and support, there are a variety of factors to consider. Should you use an outside partner’s software platform, or develop your own? Would a consulting firm or a services team be a better fit vs a technology platform? Should you choose the partner who can do a little bit of everything, but may not specialize in one area? Or go with multiple partners, each with their own specialty? Ultimately, the right choice depends on your organization’s unique needs. 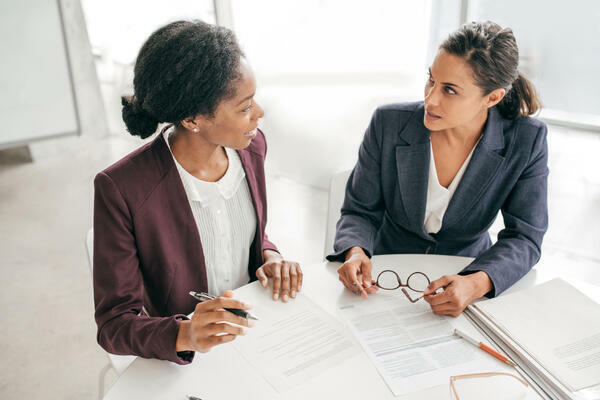 But, if you find yourself noticing any of the following things as you walk through the evaluation process with a new partner, take note, as it could be a warning sign for a less-than-stellar partnership down the line. Any one of these issues could lead to costly consequences that may not seem important early on, but could cause big problems for your hospital as the relationship progresses. 1. Lack of Communication. You’re making data-based decisions because you want your plans to be logical and fact-based, but there’s also a human element involved as you engage an outside team. If the consultant or growth partner you’ve hired doesn’t communicate well with your team, then there will be problems ahead. It’s important to make sure you choose a partner who sees the importance of keeping your team in the loop, up-to-date, and educated throughout their processes. While you want your growth partner to carry the weight of execution, you don’t want someone who intends to keep you dependent on them for years to come, hence keeping you in the dark on important details. Look for a partner who’s willing to share knowledge and guide your team, empowering your team with as much insight and direction as possible so you have full control over the direction and development of your plans. 2. A Tendency to Ask the Wrong Questions of the Wrong Data. It’s important to know that your growth partner will be able to guide your team toward pairing the right data with the right questions. If you use the wrong data, you risk missing important segments of your population in your analysis and using out-of-date or inconsistent data. It should be a given that your growth partner will know to do this. And yet, it’s a common problem. Often, internal agendas focused on over-promoting the value of a certain dataset can cloud the focus of a growth partner’s guidance. Consider these commonly asked growth-related questions and the ways in which they are often miss-handled. What’s my market share? State data, or Medicare if State is unavailable, is the best data to use to answer this question. Yet, All-Payer Claims Data (APCD) is often suggested instead. With APCD, there will be some proportion of the market which is not included due to self-pay or charity care not resulting in a claim, as well as claims processed directly with payers (rather than clearinghouses) or by clearinghouses which are not affiliated with your APCD vendor. State data will cover all cases within the reportable requirements including self-pay and charity care, as well as claims processed directly with payers. How can I track and understand post-acute care usage? Medicare is the best data to answer this question. Yet, once again, APCD is often positioned as the right choice. Post-Acute care usage is more frequently utilized by older individuals, many of which are Medicare-eligible age. Data sets tailored specifically for Home Health Agencies and Skilled Nursing Facilities are available directly from CMS and include 100% of the Medicare Fee-For-Service market. While there will be some additional volumes treated outside the Medicare-eligible population, the trends observed for this population should be largely indicative of the market as a whole and can help identify trends in care for specific markets, demographics, or markets. While APCD may allow for analysis of more niche care settings where post-acute care was provided, the bulk of this care would be visible in the CMS-available datasets. If you’re unsure about your potential partner’s ability to steer you towards the right insights, be sure to dig deeper and ask questions. Consider using the examples above as a test. 3. The Promise of a "Magic Bullet" Dataset. It’s valuable to have access to multiple data sources for the most complete and accurate look at market opportunities. The healthcare space is flooded with various types of data—state, Medicare, all-payer claims, EMR, demographic, psychographic—and none of these holds all the answers. And as referenced in the point above, not every growth question can be answered with just one dataset. There simply isn’t a “magic bullet” dataset. There is value in a diversified data strategy and it’s important to have a partner with the know-how to properly leverage multiple datasets for maximum insight. If you’re considering a partner who too heavily relies upon one dataset for all the answers, be wary and consider heading in a different direction. 4. The One-Size-Fits-All Solution. It can be tempting to choose the outside partner who seems capable of doing a whole lot of everything. How appealing does it sound to consolidate vendors and sign ONE contract for 5-10 solutions? Even if that one partner doesn't really specialize in the area where you need help, if they are knowledgeable enough and have a lot of other offerings too; it should work out okay, right? Likely not. From the onset, it may seem like it will be simpler to engage with only one partner rather than having to juggle several outside groups with specialized offerings. But tread carefully with this one. Keep your priorities and your main needs top of mind throughout your negotiation process. Make sure that your partner has total mastery over the growth areas where you intend to focus, not just a broad knowledge base that allows them to claim expertise in multiple areas. The appeal of having a single outside partner will quickly fade when that partner falls short in helping you execute your specific growth efforts. 5. The Quick, Short-Term Answer. As with any area of life, if something seems too good to be true, it likely is. When choosing a strategic growth partner, look for long-term, sustainable results. Do they have a proven track record of being able to grow and adapt with the needs of the healthcare organizations they serve? Or do you instead note a history of short-lived partnerships and broken relationships? Ask to speak with an organization they currently work with to get insight into the day-to-day experience of working with the prospective partner; feedback from someone else who has walked in your shoes is the best way to learn about a vendor. Be wary of the partner promising to exceed your every goal in record time and be careful that you aren’t so focused on the time constraints surrounding a particular goal that you opt for a partner who simply provides a quick fix. Look for a partner who will help your team and organization perform better over the long-run rather than someone who may be offering a more short-sighted solution. Lastly, make sure to address the conversation of how your outside partner can scale to meet your needs as time goes on. 6. Unclear Pricing. While there are many factors to consider when choosing a strategic growth partner, at the end of the day, it may come down to cost. Be sure that you know what you’re getting into up front. It’s always best to work with someone who is committed to transparency when it comes to how much you’ll be paying for their services. This will allow you to better estimate the ROI and more accurately budget for the partnership. Be wary of hourly fees, which can easily balloon past initial projections or other complicated fee structures that make it difficult to determine what the total cost to your organization will be. When selecting a strategic growth partner, you’re making an investment in your hospital or health system’s future. This means that you have to keep long-term returns and goals in mind. Avoid the pitfalls discussed above in order to pave the way for ongoing growth with a partner who has your system’s best interest in mind. If you are sure to look for clarity in pricing and processes, solid communication capabilities, a partner with the right strengths, and a commitment to sustainable solutions, you’ll be well on your way to a happy, productive growth partnership. For more information about how we can help you execute your strategic growth plan, schedule a discovery call today.